I was nine years old when I saw my first movie. 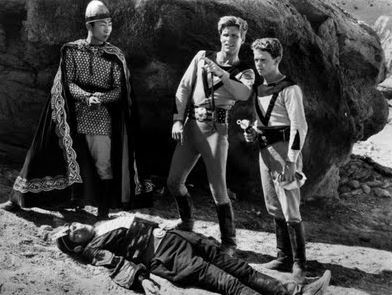 It was 1939, and it was a Buck Rogers serial. I remember seeing the Lone Ranger serials, too, and a movie with The Three Musketeers that came out around that time. That was pretty popular. And I saw my first Western not too long after that. 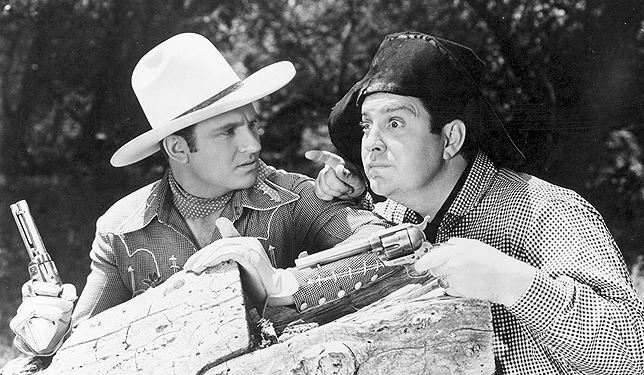 It starred Gene Autry, but I’m not sure which one it was, because there were so many of them. The way they did movies was different back then. Saturday was always a Western. The Westerns were always on the weekends, because that’s when the crowd would come in. There’d be Gene Autry or Slim Pickens or some other singing cowboy. Some weeks, they would have Blondie and Dagwood movies–you know, they had real people. And sometimes a love story–everybody liked the love stories. And they’d do a newsreel before the main feature, and a cartoon, and then would come the movie. They had one theater in Piedmont at the time, and I don’t remember the name, but it’s now closed. I started working in that theater in either 1941 or 1942. I was around twelve years old at the time. I sold popcorn. I’d go down each aisle, and the people would hold up their hands to ask for a bag and I would take it to them there in their seats. I didn’t sell the Cokes because they were too heavy. My brother Gail–he was older than me–he sold those. He wore a strap around his neck that held a little box with eight or ten Coke bottles in it, and he would bring those to anyone in the theater who wanted one. It was a good job for a young man. I liked doing it. I did that for two years before I went to work for an evergreen nursery in St. Peters, Missouri. And I was a nurseryman from that point on. Jack Schamel, 83, grew up in Missouri. He and his wife of more than sixty years, Myra, have three children, Jacqueline, Susan, and Vicky. He is retired from the nursery business and lives with Myra in Caledonia, Mississippi. Movie memories from 1960s Memphis.